The newest addition to the popular Motorola ATRIX family, this smartphone is remarkably thin at 8.4 millimeters but doesn’t compromise strength since it is made KEVLAR® strong for incredible stability in any situation. 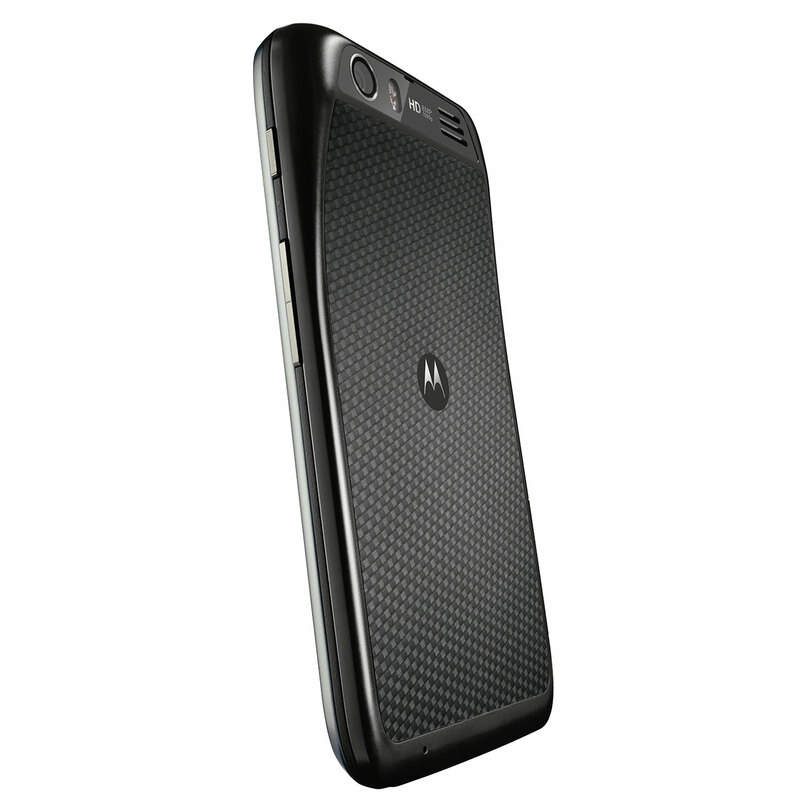 The Motorola ATRIX HD also has a high-tech, invisible nano-coating that acts as a splash guard – not only on the outer shell, but on the electrical circuit boards inside, too. Motorola ATRIX HD comes pre-loaded with SMARTACTIONS™, a free app from Motorola that suggests ways to automatically change your phone’s settings throughout the day to make your life easier. For instance, when you place the Motorola ATRIX HD in the Vehicle Navigation Dock accessory and enable Drive Smart, it will set your phone to vehicle mode, read your text messages aloud, auto-reply to incoming calls and texts as well as provide turn-by-turn navigation. You can also set rules for when your battery gets low by enacting the Battery Extender, which can help your battery last longer by turning off GPS, disabling background sync or other features you select. To raise awareness of responsible driving, for a limited time, customers who purchase a Motorola ATRIX HD at participating locations will receive a Vehicle Dock at no additional charge. The vibrant 4.5-inch HD ColorBoost™ display is the highest resolution smartphone display on the market supporting a wide range of more vibrant colors for greater detail and sharper, clearer images. The ATRIX HD also features an 8-megapixel rear-facing camera with 1080p HD video recording capabilities at 30 frames per second and zero shutter lag. It also has a front-facing 720p HD camera. 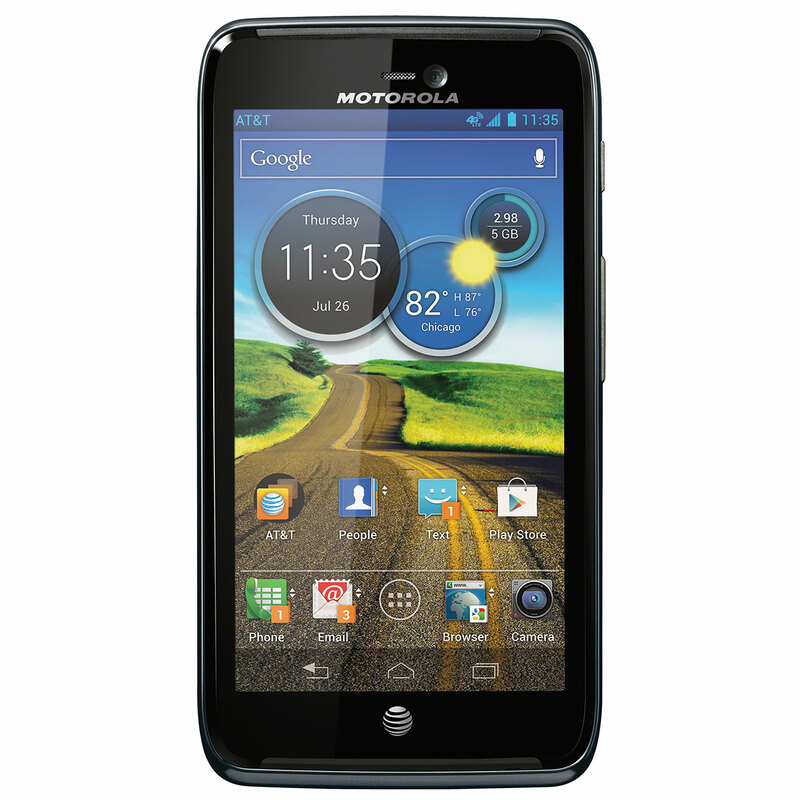 Running on Android™ 4.0, Ice Cream Sandwich, the ATRIX HD is the first phone equipped with Motorola’s Circle Widget on the home screen, which connects directly with your AT&T account and displays data usage since your last bill***. Plus, it gives you “at-a-glance” access to the time, notifications, weather and battery meter. You can also access more than 600,000 apps and games on Google Play™, as well as millions of books and songs and thousands of movies and TV shows. And to help in your work life, the Motorola ATRIX HD is ideal for business use and comes with advanced security features including password protection and inactivity timeouts, VPN, government-grade data encryption on both the device and SD card, and the ability to wipe the phone and SD card in the event your phone is lost or stolen. With apps like Quickoffice, customers are able to create and edit documents and stay connected to their work on-the-go.